June 23, 2011 — The U.S. Atlantic coast and the Gulf of Mexico are as calm as a fishpond again! As shown at the National Hurricane Center websitewe have nothing new to report. While this makes for a short Hurricane Watch it should be noted that good news for the Atlantic is always better to report than bad news. Former New Orleans Mayor Ray Nagin has written a book detailing his tenure during Hurricane Katrina and its aftermath. “Katrina’s Secrets: Storms After the Storm” released on June 22 is sure to be an interesting read not only because it may give us some interesting backstory, but because of the interesting commentary and bouts of paranoia Ray Nagin mentions. Recent articles have started to showcase the importance of social media in regards to disasters and other emergency situations. A recent poll by Sachs/Mason-Dixon poll indicated 72 percent of Americans belong to a social media network and 45 percent would actually use it often to contact friends or family during the aftermath of a disaster. The poll was commissioned by “Get Ready America!” and more information can be found by clicking here. 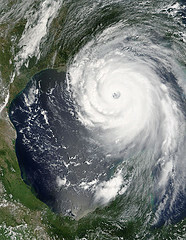 Last week’s question: What year still holds the mark for the most major hurricanes in a season? The answer is 1950.